Welcome back to another instalment of 10 for 10. This is a series from WatchGecko that sets out to inform you, the reader of 10 watches branching over 10 different categories that combined offer an extremely versatile, enjoyable and rounded collection. All together coming in at a value less than £10,000. Some watches maybe more expensive, some maybe extremely affordable but together they will all come in less than £10,000. It’s not uncommon to come across a watch collection that doesn’t feature an adventure watch. 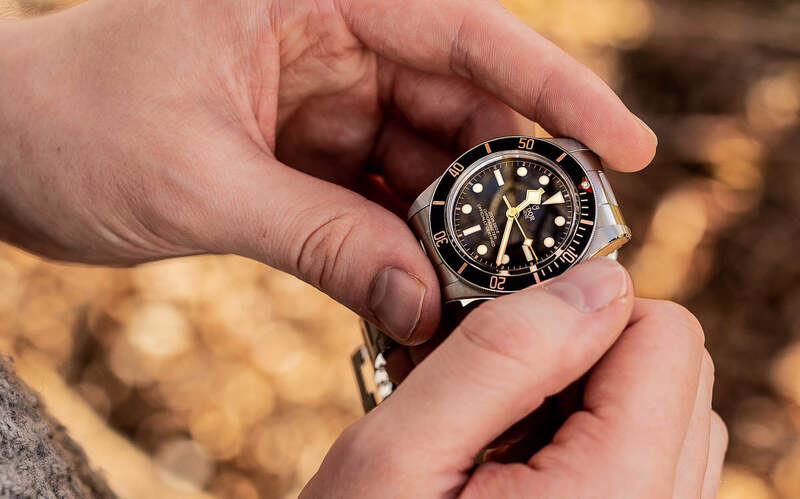 Naturally, either the diver, beater or even the field watch all share similar traits that may result in it seeming like you wouldn’t need to add one to the wrist rotation. 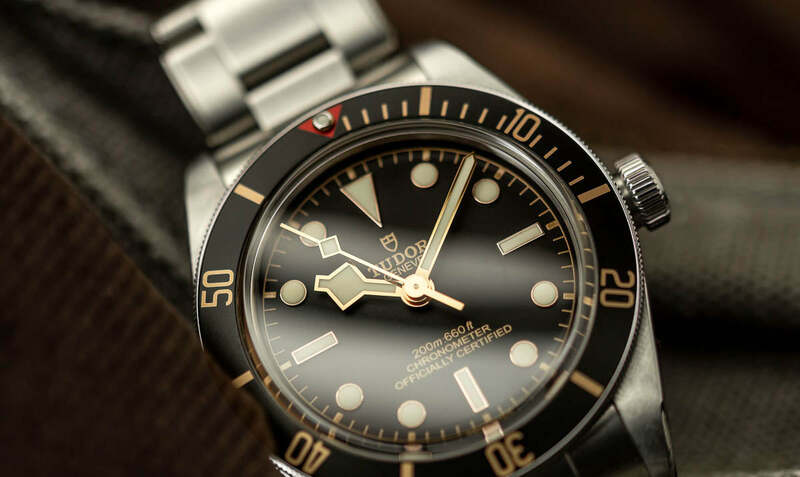 The Black Bay 58 takes its inspiration from the Tudor 7924 Big Crown Diver released in, yes you guessed it 1958. 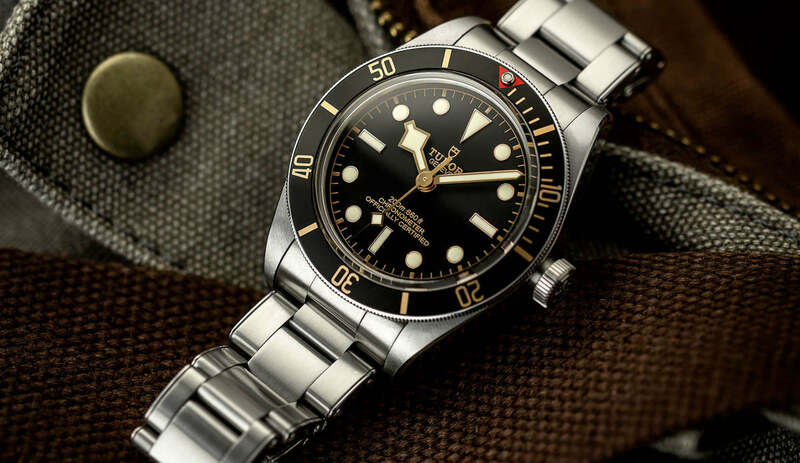 Tudor’s history of diving watches since then is well documented, meaning they are more than qualified to be releasing another one. This 2018 release was easily one of the biggest releases of the year with a lot of the watch world pleasantly surprised. 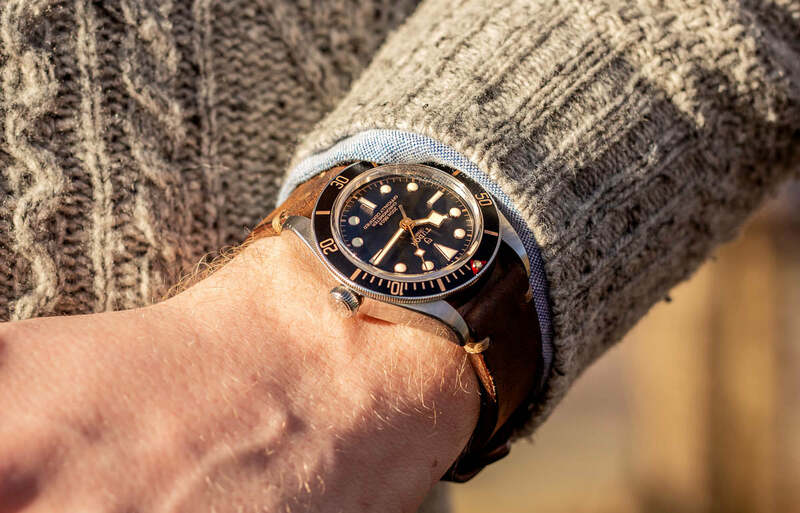 The Black Bay range has been an immensely popular watch ever since it was released in 2012, however one feature mentioned on almost all reviews that concerned people the most was the watches dimensions (specifically the thickness). 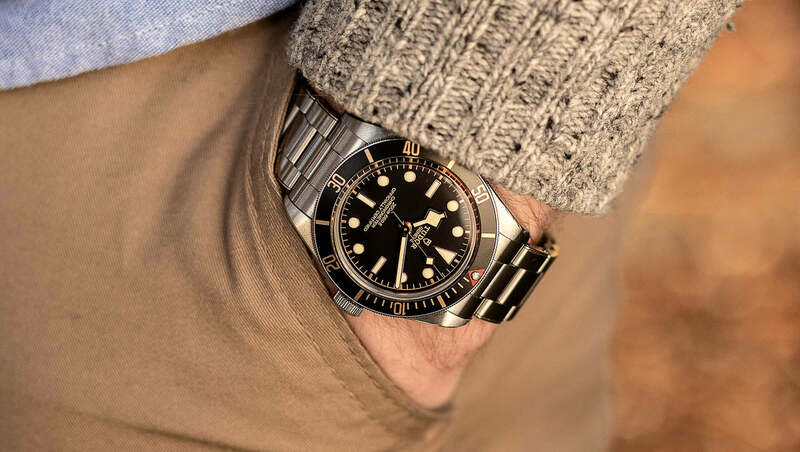 Fortunately, in March 2018, Tudor responded to this with the introducing of a smaller and more importantly, slimmer model of their ever popular diver. Coming in at 39mm wide, with a thickness of 11mm and a lug to lug of 47mm it’s fair to say the proportions of this new case for the Black Bay have vast appeal. 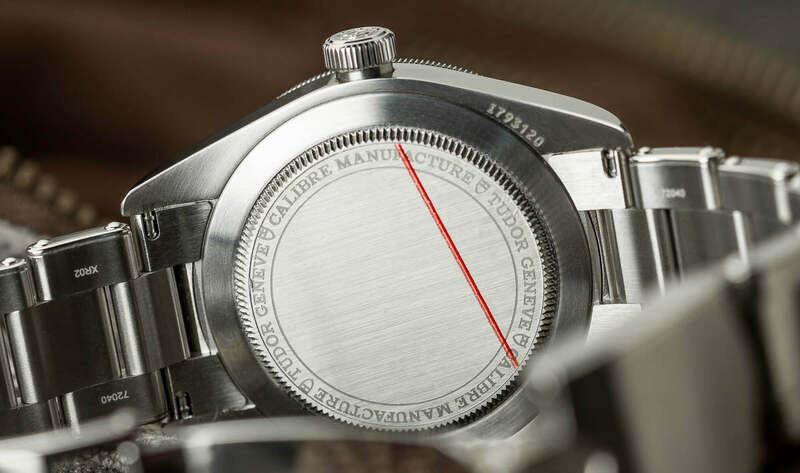 When looking down on the case head on you’ll notice the lugs are fully brushed, however, a slight turn of the wrist will reveal it’s fully polished sides and edges. This is something we see continued down to the bracelet. This brushed oyster style bracelet with faux rivets and polished sides is nothing new for the Black Bay range, however, a new lug width of 20mm is and it's very welcomed from us. 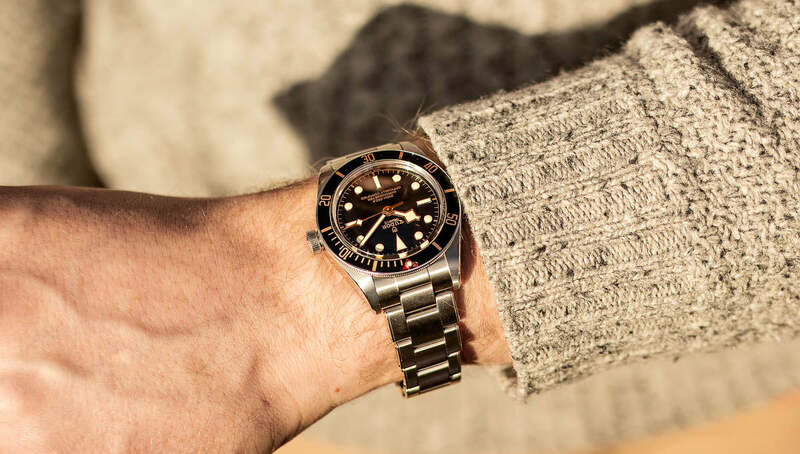 The full-size Black Bay comes with an anodised 60 click aluminium bezel with red tip and once again we see this on the 58. However, now we see the gilt colouring extending from the dial to the bezel, further bringing attention to the watches clear attempt to build on their rich history. 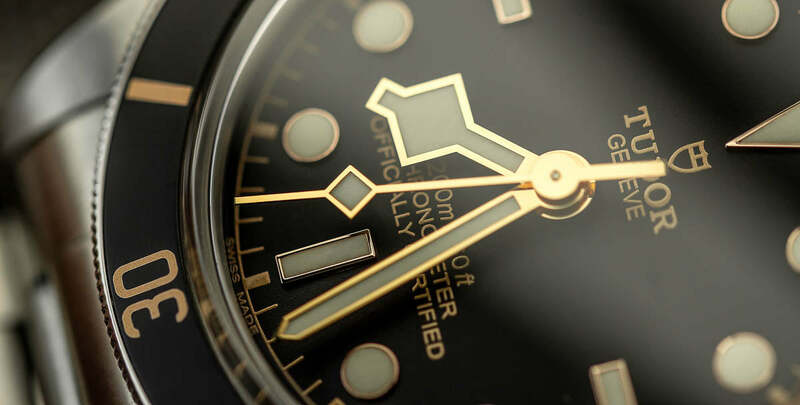 On the topic of gilt, the dial on the Black Bay 58 feels very familiar with a matt black dial, gilt coloured seconds track, logo with gold coloured hands and indices completing this symmetrical piece perfectly. All of these details are viewed through a low domed sapphire crystal, minimalising any added bulk to the watch. The impressiveness doesn’t stop there with the Black Bay 58, as a brand new in house movement can be found sitting in this well-proportioned watch. 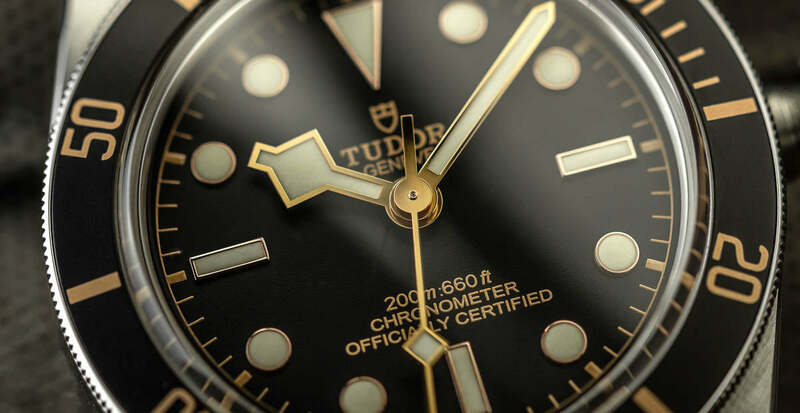 The MT-5402 movement is a new automatic mechanical movement from Tudor with some undoubtedly impressive stats. This COSC certified movement boasts 70 hours of power reserve and features a silicon balance spring for good measure. 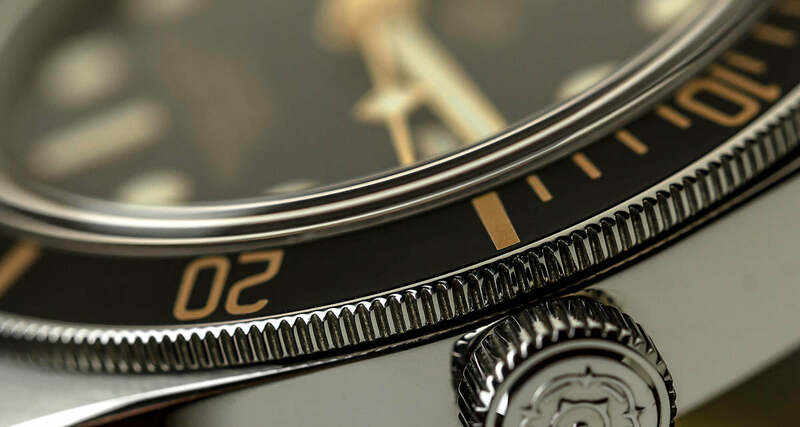 Naturally, this 200m water resistant watch comes with a guardless screw-down, complete with Tudor rose and circular satin-brushed steel winding crown tube. So how do the new dimensions of the Black Bay translate to actual wearability on the wrist? It all sounds ideal on paper, but can it really be that good? Short answer - yes it simply great. The thickness is just what it should be, not too thick to be carrying excess bulk but not too thin either. The bezel is easily one of the best on the market, it’s incredibly easy to turn on or off the wrist with the added bonus of that solid confirmation click once the bezel is reset back to 12. Spending some time with the Black Bay 58, the overall impressive quality of the watch simply shines through. 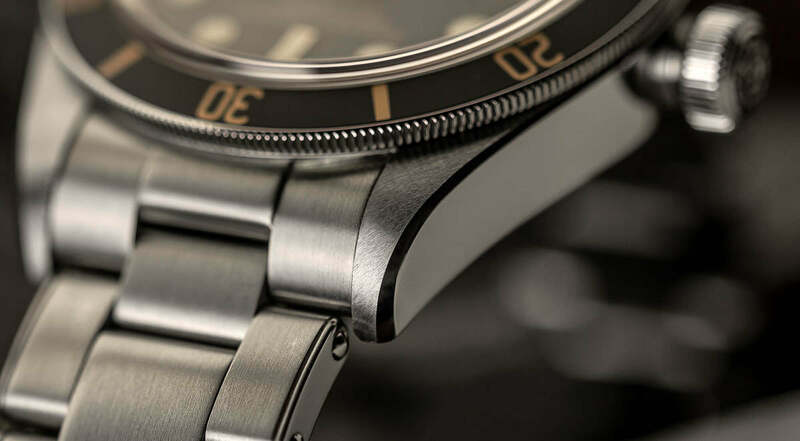 The long lugs on the watch really emphasise the watches commanding presence on the wrist. 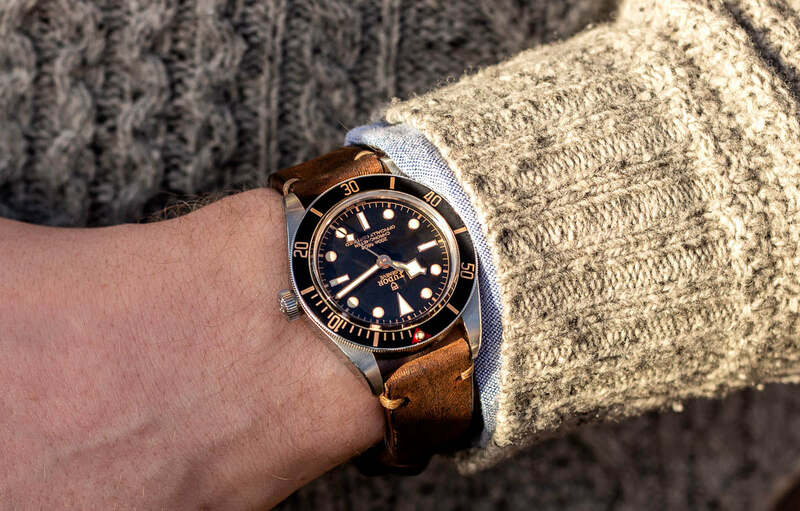 However, one thing to note here is the fact that the Black Bay 58 doesn’t get run away with itself as the overall dimensions of the watch work to retain the balance of the piece. The overriding impression the Black Bay 58 leaves with you is its subtly tasteful approach to a diving watch. This new strap in the Geckota line up takes what our existing Simple Handmade does and offers something a little different. The extremely soft and durable leather has been expertly tanned here in England, combine this with a soft chocolate brown suede lining and you’re left with a combo which you really won’t want to change. A classic and regular strap for our articles, the Swiss Style NATO is this go to NATO strap if you want a sporty look that plays on a watches practicality. The Desert Sand option here picks up on the gilt colouring of the 58 perfectly. On this watch, you really start to understand why this is the ‘Desert Sand’. Finally, we have a rubber alternative. The 400 MKII from our ZULUDIVER range has been with us for years, however, it’s only recently the Mark II has arrived. The buckle now fitted to these straps is an incredibly solid stainless steel piece combining brushed and polished finishes to give it a much more rugged look. 6 micro-adjustments can now be found on this new buckle as well ensuring you can get the perfect fit! 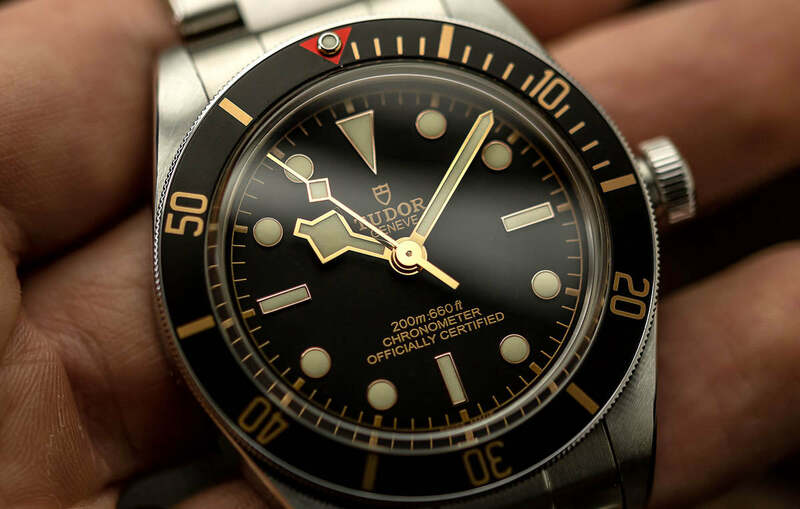 More colour options - Going for a black diving watch for your introductory model is nothing new for the watch world so very much expected from Tudor, however, for me, I’d love to see a bit of colour for the 58 range. If we were to look at the original 41mm diver as a guide, we should be expecting a red bezel and a blue option in the near future. Similarly, I’d welcome a green bezel or even a full stainless steel option like we saw on the Black Bay Chrono back in 2017. Coloured tubing around the crown - This was a feature I was surprised to see dropped on the 58. The colour tubing usually matching the bezel colour on the watch is normally a great little additional feature on the Black Bay line up. However, the 58 decided to drop this and stick with the clean aesthetic. Apart from the above, there really isn’t much more I’d like different. 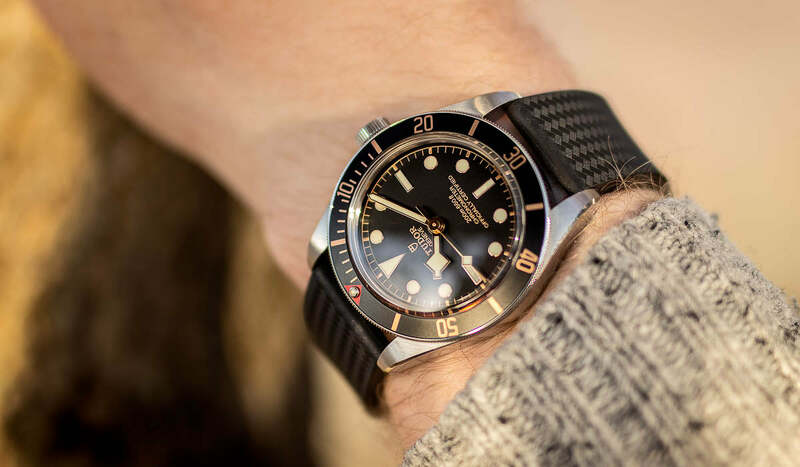 When I covered the full-size Black Bay diver, the thickness was the only substantial change the felt the watch needed, now that has been actioned, this watch is close to being perfect. 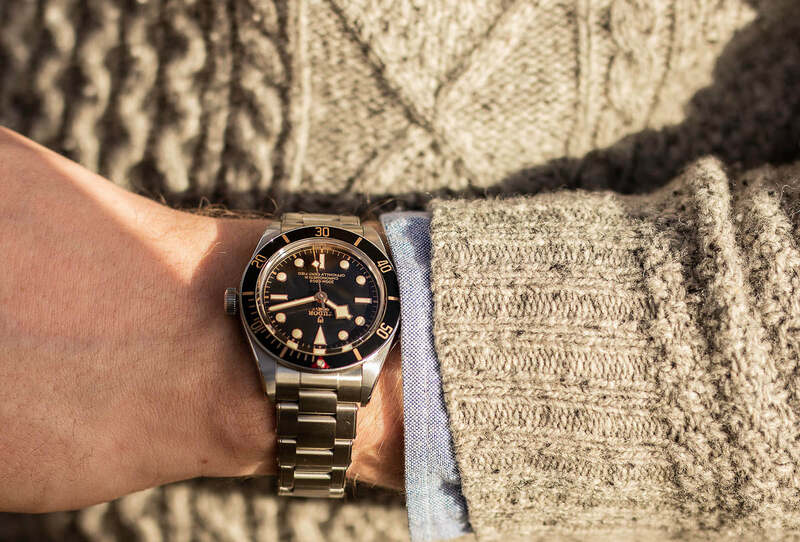 Why the Tudor Black Bay 58? At their core, adventure watches are pure tools. Essential pieces of kit which are required to complete a job. Without them, tasks become a lot more difficult to overcome. They are designed and produced to be used. With this in mind, I think its time for a confession. 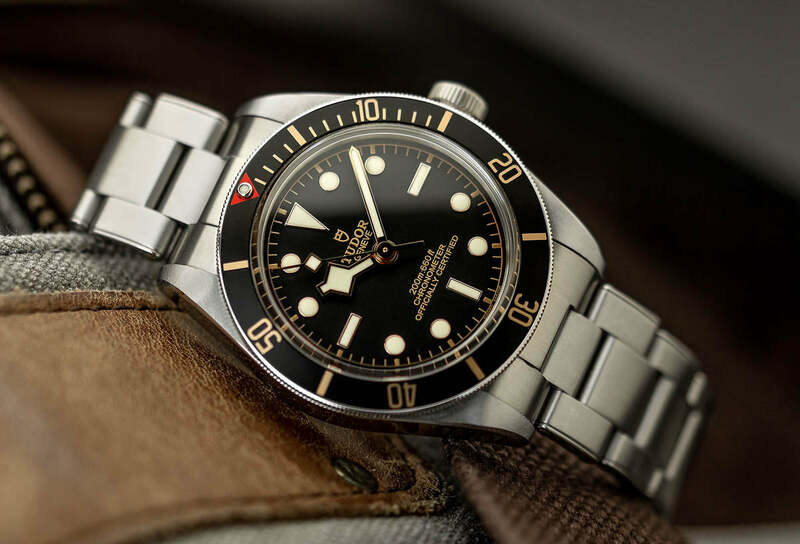 Realistically I could have chosen any Black Bay from the Tudor range for this suggestion. They’re all equally as tough, durable, well build and dependable as each other. However, the Black Bay 58’s more desirable slim proportions, useful rotating bezel, simple symmetrical ‘bare essentials’ design results in a watch which is addictive to look at on your wrist. 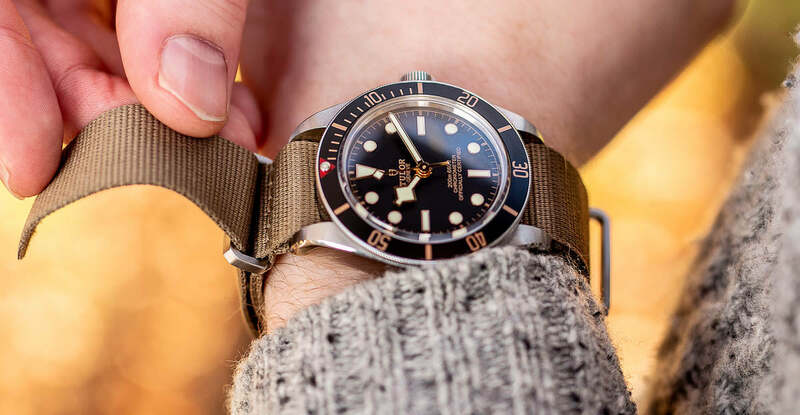 The Tudor Black Bay 58 is currently available starting from £2,340 - Find out more and explore the Black Bay range here. Another to improve on would be a ceramic or sapphire bezel. The Anodized aluminum bezel would fade in time. It's a diver watch, so It helps if Tudor has a rubber strap option similar to the Omega Seamaster Pro and the Breitling Super Ocean Heritage.